The biggest difference between a standard auto insurance policy and a Classic Car policy is that you will be paying more for the standard policy, since you are paying for a vehicle that is driven on a regular basis in this case. Most classic car owners only plan on driving their vehicle for the occasional parade or show. 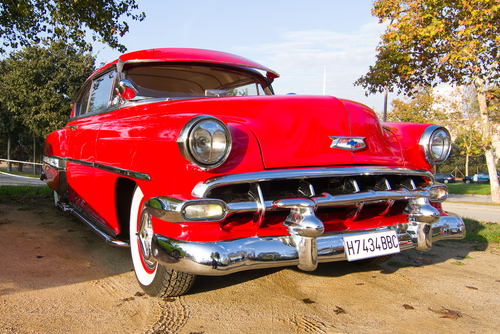 Another major difference between classic and regular car insurance, and a reason why you should insure your classic car, is the way the value of your vehicle is determined. For example, a 1974 model of a car may have sold for $1400 when it was new, but dealers might now offer $15,000 for that vehicle. So, if the vehicle is totaled and you have classic car insurance, you can expect to receive what the car is currently worth. However, if you had insured that car with standard insurance, you’d be lucky to even get the original $1400 back. Basically, it is much more cost effective to purchase Classic Car Insurance than it is to buy a regular auto insurance policy. The fact that a classic car is an older car means that it is vulnerable to high maintenance and repair costs. Purchasing a lower cost insurance policy means that you will be able to save money and put it towards restoration instead. At Condon Skelly, we know how exciting it can be to start a classic car collection. We’ve been helping our customers protect their classics with affordable, industry-leading insurance coverage since 1967. We’re a group of collectors, enthusiasts, and professionals who specialize in insuring all types of collector vehicles. For more information, please contact us today at (866) 291-5694. This entry was posted in Classic Car Insurance and tagged antique car insurance, benefits of classic car insurance, classic car insurance, difference between standard and classic car insurance, top reasons to purchase classic car insurance, vintage car insurance, why you should buy classic car insurance. Bookmark the permalink.